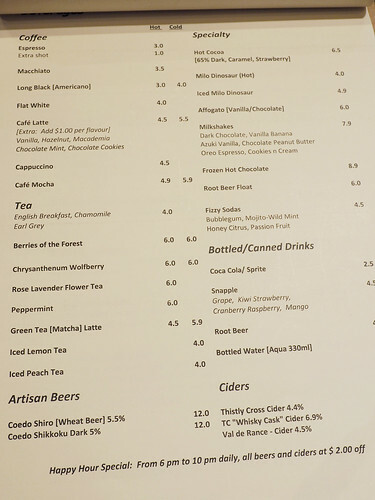 I recently had the opportunity to dine at Criollo Cocoa Cafe with Sam! 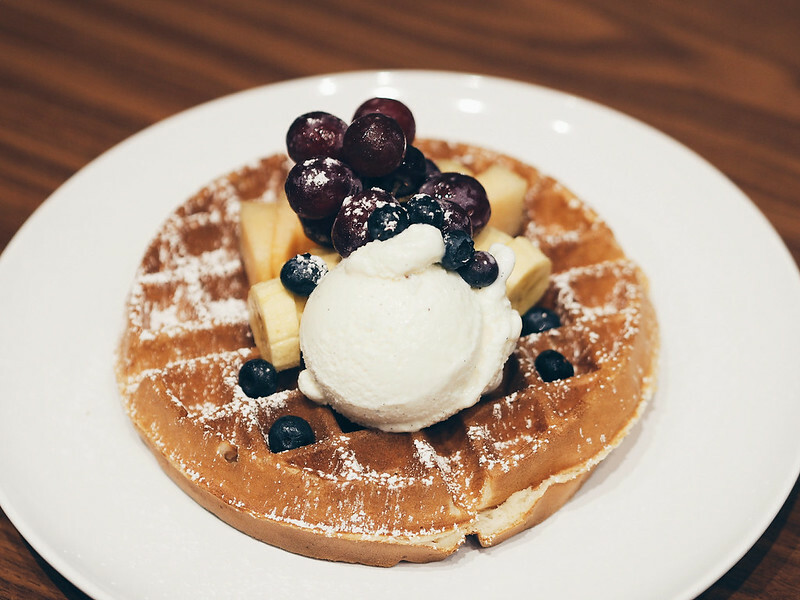 Named after a premium cocoa bean used for premium chocolate, Criollo Cocoa Cafe aims to be a relaxing oasis in the midst of the bustling Orchard Road. 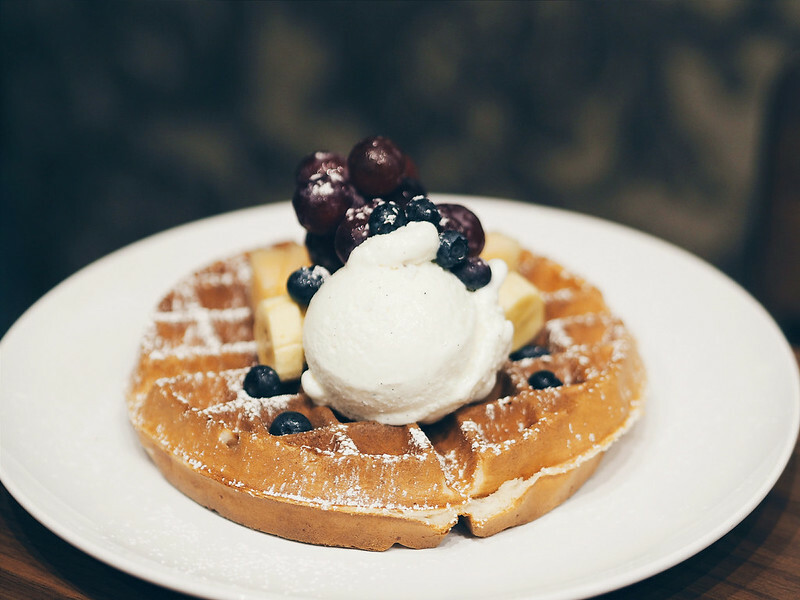 They serve big breakfast, burgers, pastas and waffles with a twist! 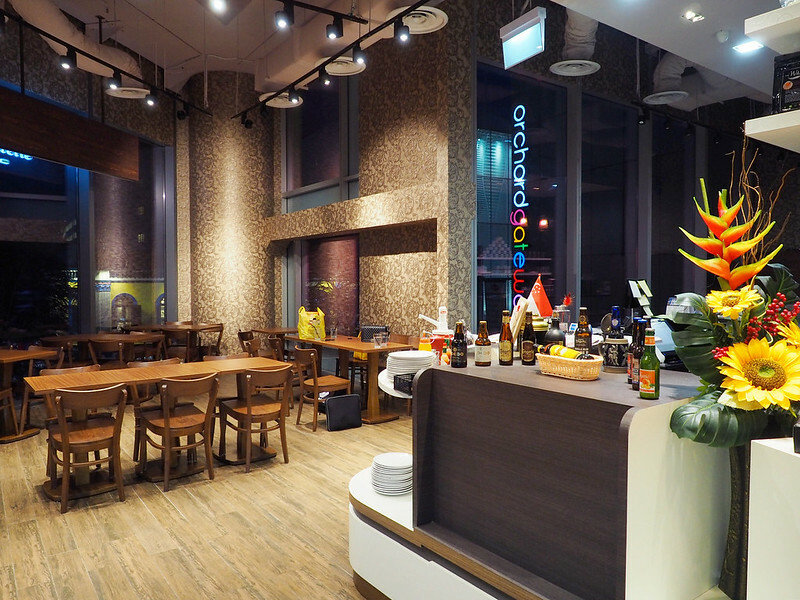 Located right smack in town @ Orchard Gateway, Criollo Cocoa Cafe is a perfect chill out place or a meeting venue away from the bustling busy Orchard crowd! 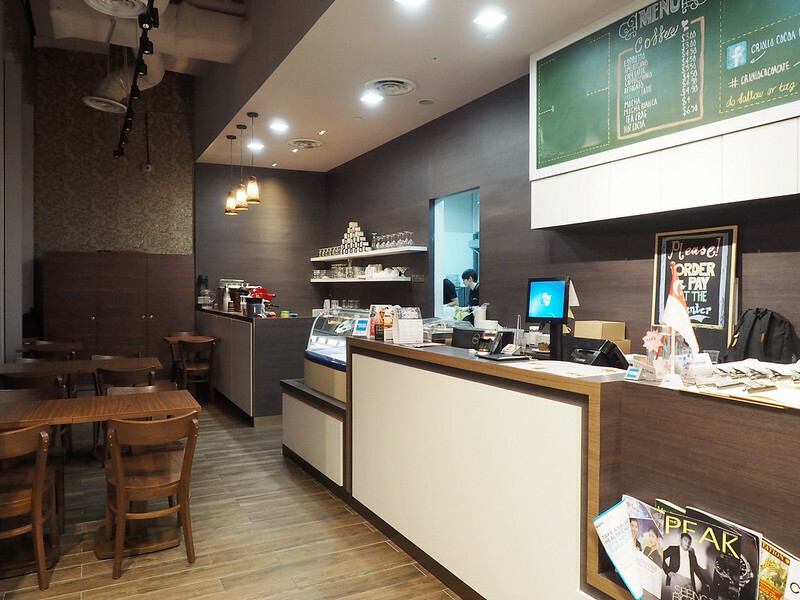 I also love how spacious the cafe is! Lots of personal space without having to squeeze with other people, or having to worry that people might overhear your conversations! 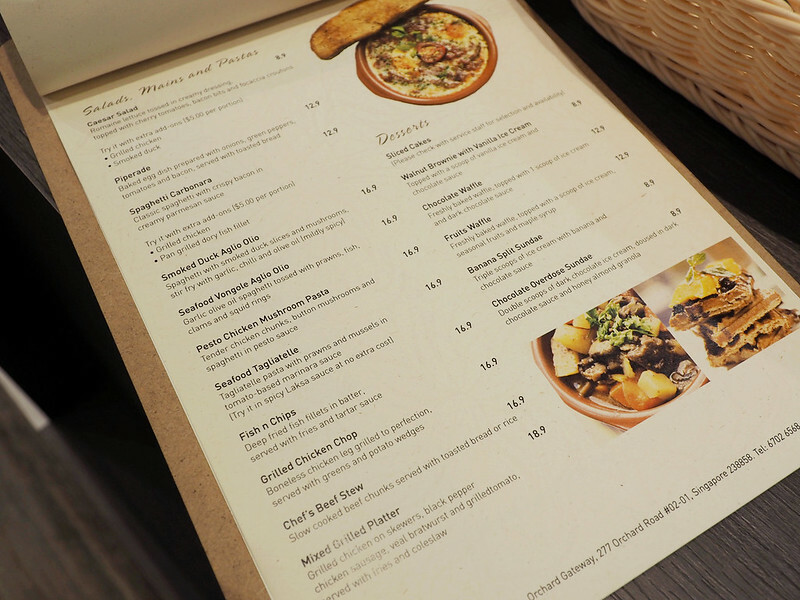 Some of their signature creative dishes created by the chef includes the Piperade (baked egg dish prepared with onions, green peppers, tomatoes & bacon, served with toasted bread), Seafood Tagliatelle (Comes in Laksa sauce as well!!) and the Criollo Combo XL Burger! 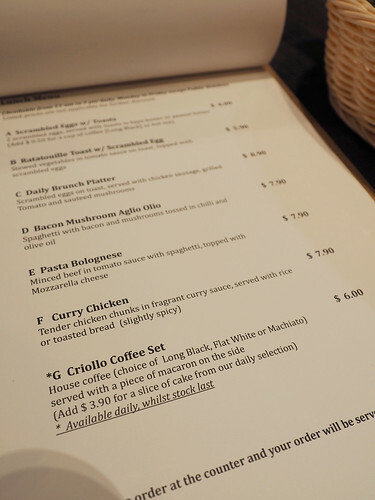 While I was there with Sam, we managed to try some of their brunch menu items! 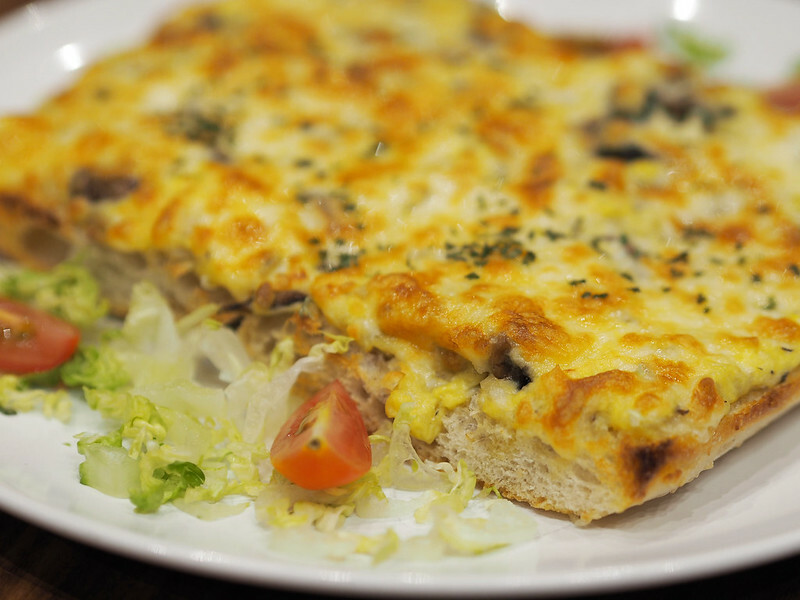 First up, we had the Double Cheese Egg Toastie ($8.90) which happens to be my favourite dish that day! on Ciabatta toast. Oooooo so good when it was served fresh and hot!! Also, got to give two thumbs up for the generous portion given that it is only $8.90!! The house creation, this is loaded with beef and chicken patties, cheddar cheese, crispy bacon, fried egg, lettuce and tomato slices, served on toasted brioche bun. 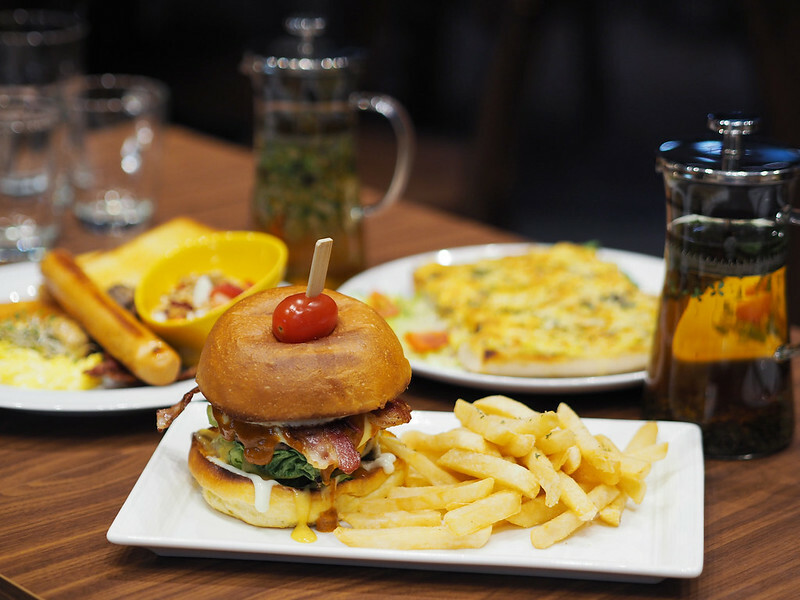 Extra add-ons are available for those who wish to further customise their burgers. 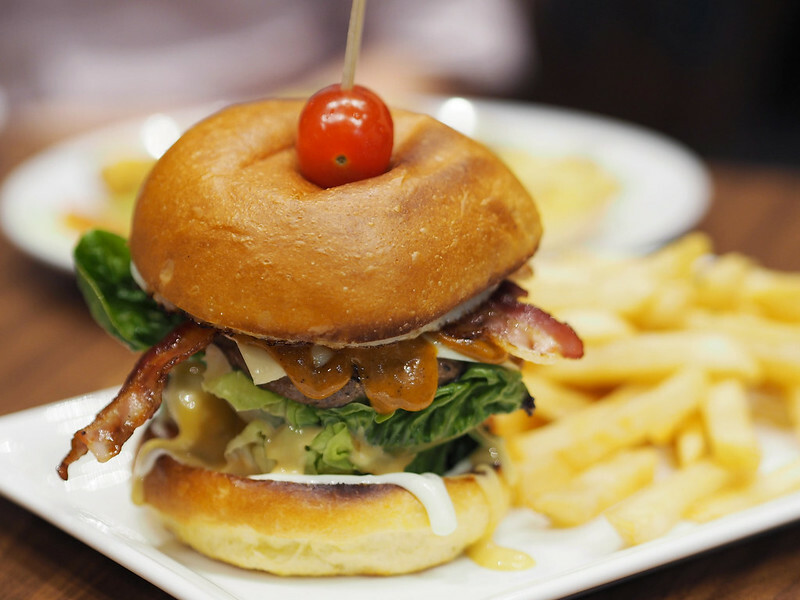 Tomato ketchup, mayo, bbq sauce, honey mustard, ranch sauce are available at no extra cost to help you create the "one of the kind" perfect dream burger that you have always wanted to eat and enjoy! Perhaps my only concern with the burger was that it was too huge to eat it in a mouthful! Other than that, no complains!! This was done pretty well too! Chicken sausage, scrambled eggs, crispy bacon/turkey ham, hash brown, sauteed mushrooms, buttered toasts, served with fresh cut fruits and low fat yoghurt. This is an American styled full breakfast with an added side of cut fruits and low fat yoghurt to provide a healthy balance to the proteins and carbs on the plate. 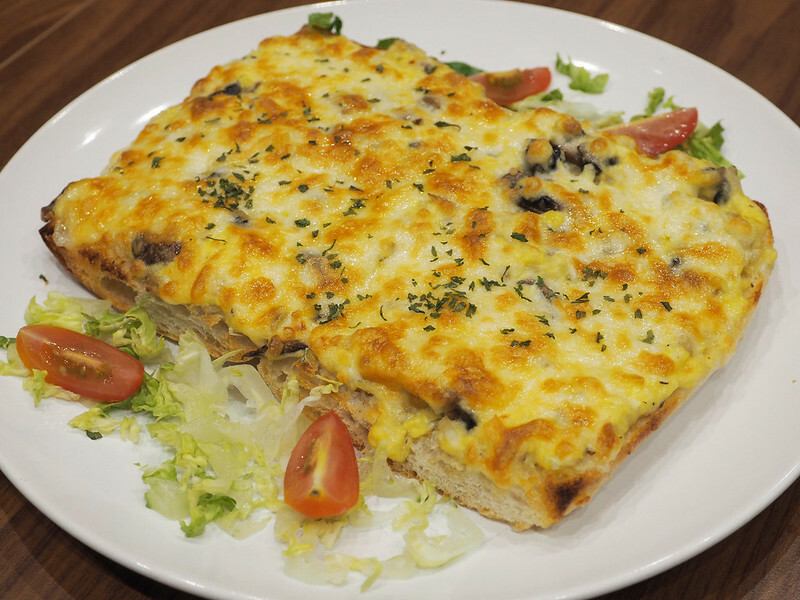 They will also be serving a "Veggie Big Breakfast" in September to provide an even healthier, low salt & low fat option. Personally, I really love the yogurt & fruits side dish!! 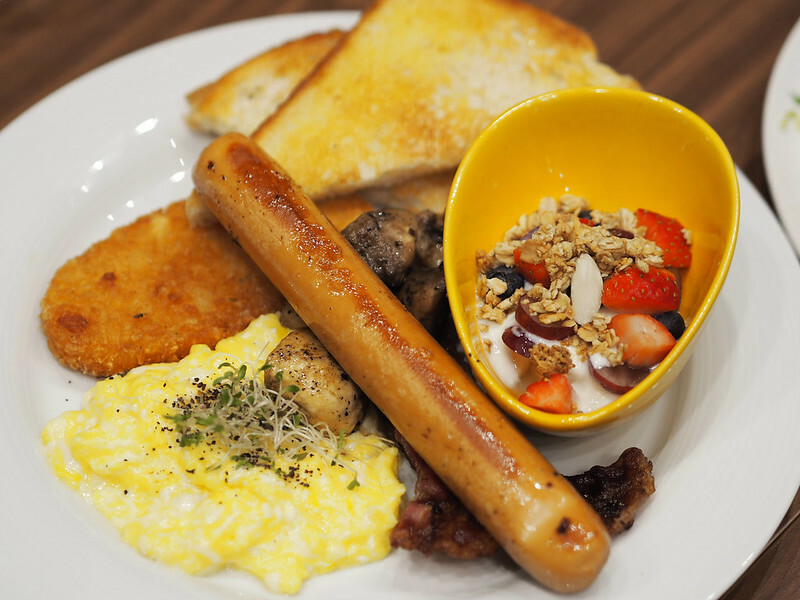 It really helps to balance out the entire meal since this dish tends to be on the oily side~ This is a super good value big breakfast! 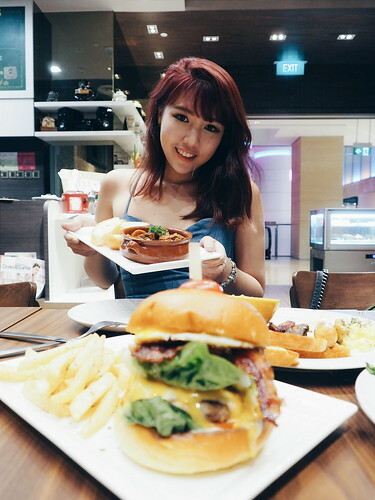 Okay just realised too many food pictures, so here's a shot of Sam and I! Nowww back to food! 4th dish we had was this Chef's Beef Stew ($16.90). 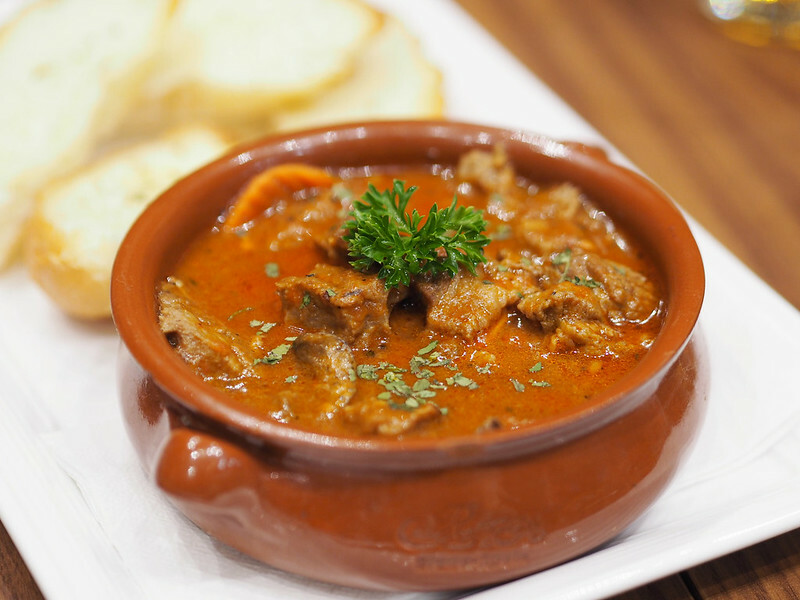 Slow cooked beef chunks with carrots and mushrooms, served with toasted bread/rice. This was another dish that I enjoyed alot too! And again, gotta comment on the generosity with those chunks of beef!! Well worth the money! Ohyes!! Their ice creams are all lovingly made by them! 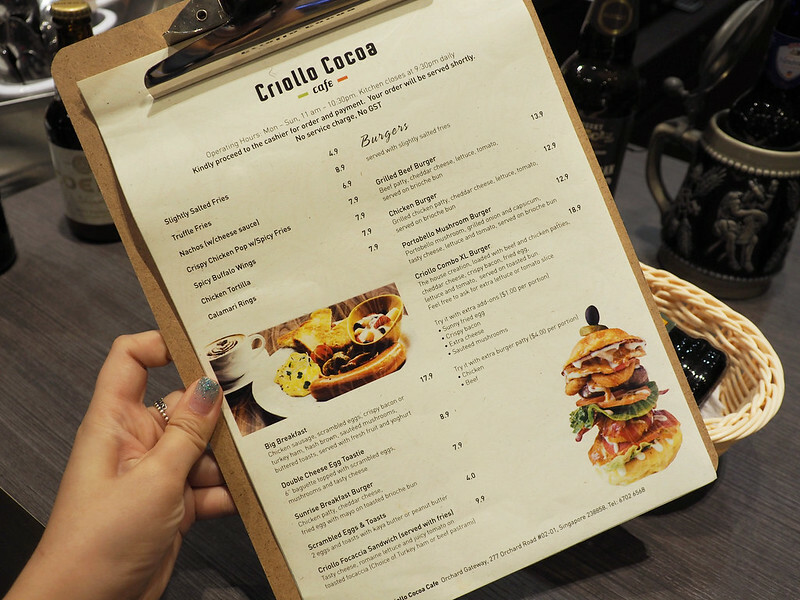 If you are in Orchard the next time round, why not give Criollo Cocoa Cafe a try? 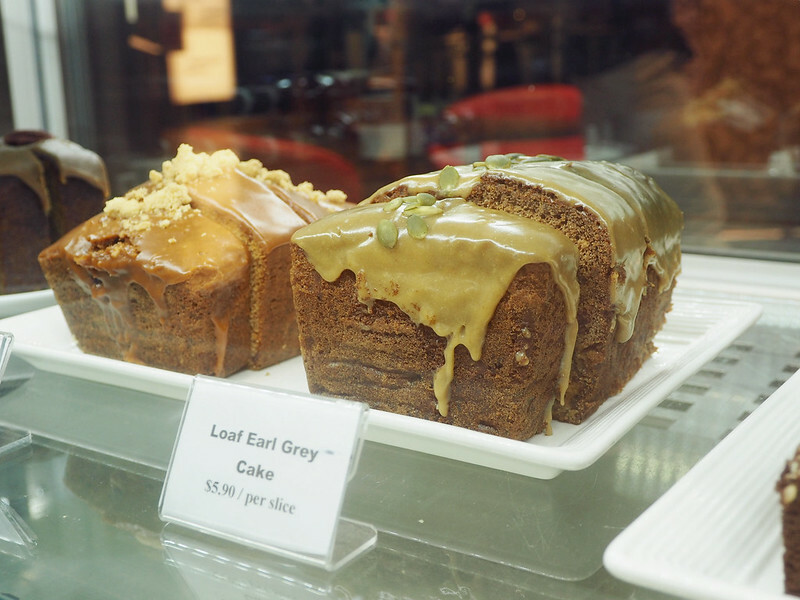 It is a quiet and cozy cafe where you can relax, eat good food or simply, sit by the windows for fantastic views of Orchard view!! CURRENT PROMOTIONS ► Big Breakfast - currently available at $12 (U.P $17.90) till end September ► Weekdays Dinner: One free 25cl bottle of Val de Rance Cider for every order of Beef Stew (not available for takeaway). Valid till end September. ► Quote C20%4Nuffnang for 20% discount off the total bill till end Sept. Not available for items on offer.